Like millions of other people around the globe, I was saddened to hear of film critic Roger Ebert's death today, April 4th, 2013. He waged a tremendous fight against the ravages that cancer brought him, both physically and emotionally, and did so with strength and grace. His writing was intelligent and lively; full of depth and thoughtful observation while never coming off as snobby or precious. He had a pugnacious side, to be sure, and always preferred to have the winning point of view -- not everyone agreed with him, and he could be more than a little testy at times. Yet he always retained a wicked sense of humor, and never once lost his zest for life nor generosity towards others, when most other people would have thrown in the towel in bitter defeat a thousand times over. "To make others less happy is a crime. To make ourselves unhappy is where all crime starts. We must try to contribute joy to the world. That is true no matter what our problems, our health, our circumstances. We must try." I urge you to read this over and over. Print it out and post it by your desk, or your fridge, or your car, or everywhere. Read it, read it, read it, read it...and believe with all your heart and mind in it, because this is truth. There isn't anything more important you ever need to know as you go through your one and only life. If you strive every day to live up to the statements in these five sentences, you will have a good life, and you will leave the planet in a better place than when you got here. That is the best any of us can ever do. 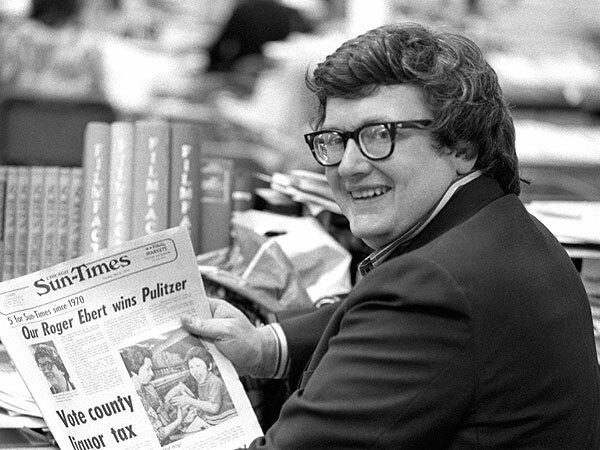 Roger Ebert had a good life. PHOTOS: FOUND VINTAGE SLIDES, 1950s "ON THE FARM"
POETRY CORNER WITH VINTAGE MISS TEN! PHOTOS: FOUND VINTAGE SLIDES, 1950s CALIFORNIA? THE SOUNDTRACK OF HELL: KEYTAR MUSIC VIDEOS! CREEPY DOLL COMMERCIALS FROM THE '50S & '60S!